Put another show on the perfect score list. Liar Game is an amazing psychological thriller that captures your attention about four minutes into it and doesn’t let go, even though the ending credits are rolling. The writer set things up for a sequel and my mind began spinning trying to think of what it would be like. Oh, I hope there’s a sequel! Nam Da-Jung is a tender-hearted college student who finds herself roped into being a contestant in a new reality show called Liar Game. The prize money is ten billion won ($9.3 million U.S.) and the way you win is by lying, cheating, manipulating, tricking, deceiving, and fooling all the other participants so you get their money. But Nam Da-Jung is too trusting and ends up loosing all the money she started with. A friendly loan collector tells her about an intelligent man he met when he was in prison and claims the man can help her get the money back and win the game. Why would a fresh-out-of-prison con artist, who was once a psychology professor, agree to help a poor girl he doesn’t even know win a television game show? Cha Woo-Jin is the youngest man ever to be a psychology professor at a prestigious university. He was raised by a single mother who was kind and empathetic and he watched, helplessly, as that trusting nature became her undoing. He spent a year in prison after making sure those responsible paid for his mother’s downfall. Although he’s an extremely handsome man, you never see him smile. 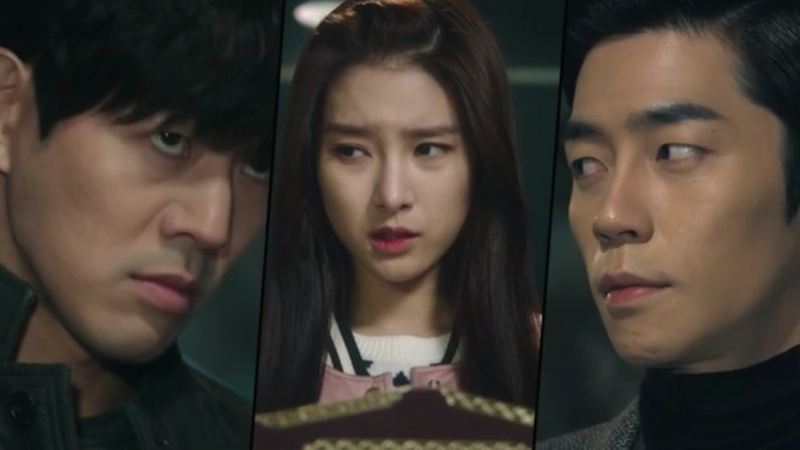 Woo-Jin lives by the motto, “Never trust anyone”. Nam Da-Jung is a young woman who is struggling to pay off her father’s debt with a loan shark. She lives alone after he ran for his life when he lost everything in a bad investment. She works part time at a cafe, having put off school to earn money. She’s on friendly terms with the debt collector and believes in trusting others. The man responsible for the idea of Liar Game, and host of the show, is Kang Do-Young. He spent his adolescence in an orphanage and grew up in America after being adopted. He is amazingly intelligent and is a type of business advisor. He is positive his game show idea will keep the broadcasting company from having to declare bankruptcy. The idea behind the game show is that everyone wears a mask and money is something that makes people take off those masks. There are also quite a few supporting characters who compete for the grand prize, everyone of them in desperate need of money for their own reasons. There’s a teacher, an ex-boxer, a has-been movie star, a young student, a politician, a woman who works in a lounge, a psychic… several interesting people who add flair and diversity to the story. Anyone who enjoys numbers will love this show. You know, the kind of people I’m talking about, right? The ones who play those sudoku games just for the fun of it. They’ll have a ball figuring out how to play things so the person they want to win can come off conqueror. The games played on Liar Game are all the kind you have to figure out using math. I, myself, not only do not like math but I’m horrible at it. I’ll admit, trying to figure it all out mathematically was quite a struggle for me. I kept thinking, “Huh? I don’t get it.” But then I’d watch what was going on and I’d begin to catch on, sometimes – when I was lucky. The other 90% of the time I’d just wait for one of the characters to explain it all. I’m surprised that with as much as I hate math, I really loved this drama. I’m sure it was the psychological part that captured my attention. I mean, just how far would you go to be handed $9,000,000? Could you lie to someone who was trying to help you? Could you cheat and still be able to sleep at night? Could you take it from someone who was in need of it just as much as you? Lee Sang-Yoon plays psychology professor Cha Woo-Jin. His career started when he was picked out of a crowd in the middle of the street when he was 24 years old. I guess he just has that “handsome actor” look. He made a beer commercial and then it was on to starring in TV dramas. I loved him in Angel Eyes and Twenty Again. And the guy’s not just a good looking actor – he’s also pretty smart, graduating with a degree in physics from Seoul National University! Woo hoo! Kim So-Eun began her acting career when she was in junior high school with a bit part in the movie Two Guys. Five years later she won three Best New Actress awards for her roles in Boys Over Flowers, He Who Can’t Marry, and Empress Cheonchu. Three Kdramas in one year – busy gal. I’m not a huge Kim So-Eun fan, myself, but she was cast well in the role of sweet and trusting Nam Da-Jung. Shin Sung-Rok who plays game show host Kang Do-Young is best know for his performances in musical theater productions of which he’s taken on famous roles – Dracula, Romeo, and Hamlet to name just a few. But the Kdrama world is lucky he branched out. I think he was just born to play an evil genius. 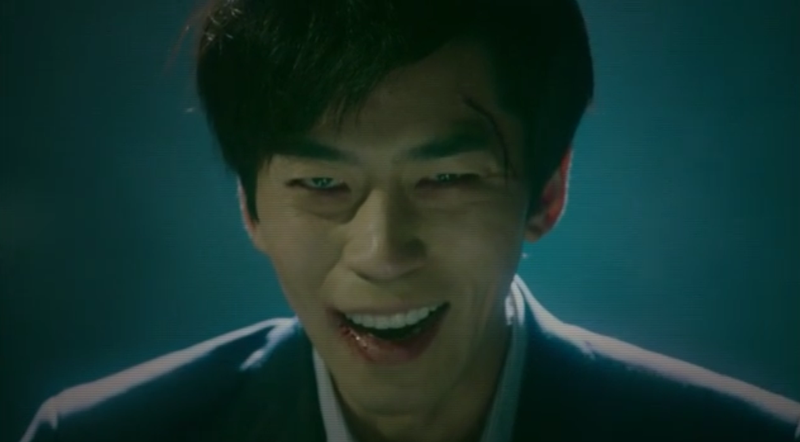 He was great as the bad guy in My Love From The Star and in this drama he reminded me a little bit of Heath Ledger/The Joker in the Hollywood movie The Dark Knight. His facial expressions are unsettling, just plain eerie, and someone that could hear what I was watching said, “Oh, that’s a really evil sounding laugh!” He really does “creepy” well. This amazing, 12 episode Kdrama is based on the Japanese manga series of the same name written by Shinobu Kaitani. That guy’s got to be brilliant to come up with all the stuff that’s in this story! The manga got an 8.656 out of 10 on ANN, putting it in the top 15% of all manga ever! See, it’s good! Ryu Yong-Jae is the screenwriter for the Kdrama and he’s amazing as well. The soundtrack is completely instrumental and compliments the show, raising the level of suspense and apprehension the plot generates. It’s just perfect for those tense, thrilling, and nerve-wracking moments which occur almost continually. The theme song at the opening of the show lets you know exactly what to expect in the coming 12 hours. Setting and scenery is just perfect. The games occur at randomly different places that range from spots like a regular TV studio to a large shopping mall. The locations are varied and quite complimentary to each specific game. I can’t encourage you enough to watch this show. It’s not a romance you just kick back and breeze through with warm and fuzzy feelings. It’s not a light-hearted comedy that will leave you upbeat and happy. It’s not a deep drama that will bring tears to your eyes. This is a serious thinker – a tense, mysterious, psychological thriller that will entertain you every step of the way. You’ll want to call up your best friend and recommend it by the end of the third episode, and you’ll wait anxiously, hoping for a Liar Game – part two. A shout out for the guy with the original idea, Liar Game manga author, Shinobu Kaitani.